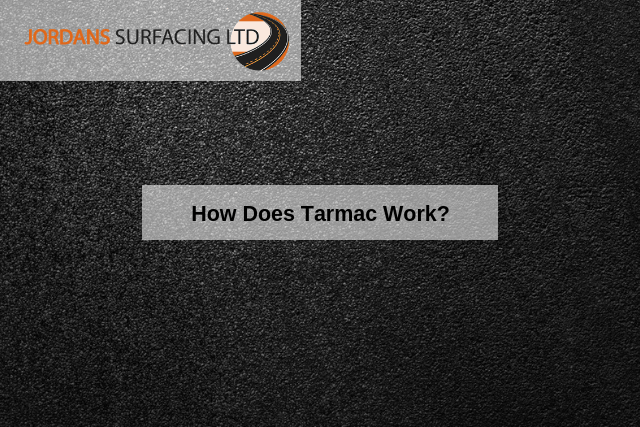 Tarmac is one of the most common road and driveway surfaces in existence today. It is used for a variety of purpose and its cost-effective nature makes it ideal for larger projects. Having said this, it is also quite resilient to the elements; offering a sense of longevity that is not always possible with alternative materials. While most of us walk and drive across tarmac on a daily basis, very few are aware of its history and how it functions. Let us take a quick look at what makes tarmac so special. The roots of tarmac can be traced as far back as 1820. Originally referred to as “tarmacadam”, this process simply involved the addition of a gravel coating atop an existing road. However, the modern form of tarmac was not envisioned until 1901. Legend states that a man by the name of Edgar Hooley happened to be passing by a tar factory when he noticed that a barrel had spilled its contents onto a nearby gravel road. It was apparent that an additional layer of gravel had been placed over the tar as a means of absorption. Interesting enough, much less dust was created when vehicles passed over the area. It was not long before he and others realised that this new form of tarmac could be used as an effective surface coating. Tarmac generally consists of a layer of crushed stone mixed with tar. This is the primary mechanical component of the compound, as it offers up a firm and extremely durable surface. A top coat is often added; providing a uniform flatness and aesthetic appeal. Due to the fact that tar is a primary component of tarmac, this substance is waterproof. Thus, there are fewer concerns in regards to seepage and drainage problems. There are also instances when an alternative substance known as “bitmac” may be used (the tar is replaced with bitumen). This is common in areas prone to diesel and petrol spills. Tarmac is often taken for granted and yet, our lives would not be the same without its presence. If you are looking to employ the services of a professional asphalt and tarmac firm, Jordan’s Surfacing is here to help. Please contact us to learn about our commercial services as well as the additional options at your disposal.